A 13-year-old Almajiri pupil, Zubairu Yusha’u, has had his two hands amputated following a punishment by a proprietor of his Tsangaya School in Gombe. The punishment was meted on young Yusha’u after he was accused of stealing a mobile phone. Speaking to the Media on Sunday at the Gombe State Police Command headquarters, when he was paraded by the police, Malam Suraj Mohammed, 50, the Proprietor of the Tsangaya school explained that: “An Almajiri pupil under my care committed a crime by stealing a phone, when the matter was reported to me, I pressed him and he admitted that he stole the phone and hid it in a refuse dump site. The phone was later found in the location he described to us, but we couldn’t find the battery and the SIM card. “He attempted to run away and escape punishment and therefore I used a rope to bound him and prevent him from running away. Afterwards, my attention was needed at my private house, which far away from the Tsangaya. “When I returned after an hour, I was told that the boy’s hands had swollen and got injured when he was struggling to untie himself. I immediately asked them to free him. “When he was brought to the hospital, doctors told us that his hands were badly infected and have to be amputated to prevent the infection,” he said. According to him, it was the first time anything of such happened at his Tsangaya noting that for over 27 years teaching in the Tsangaya with over 1, 500 pupils he was never found wanting. “I regretted what I did to him and I am calling on proprietors of Tsangaya schools and other members of the public to exercise patience whenever they are provoked by their children or people under their care,” the proprietor noted. 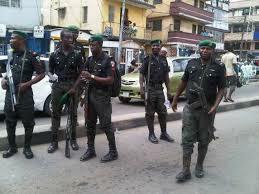 Gombe State Commissioner of Police, Mr Tairu Shina Olukolu said the police is still investigating the case. “The case is still under investigation, we are also waiting for the boy to be discharged from the hospital, to determine the next line of action and what charge to proffer against the suspect before we take him to court,” he said.